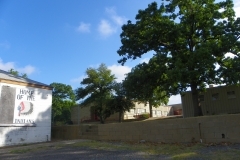 The Tishomingo Middle School campus contains two WPA-built structures: a school building and a gymnasium. The six-room school building is a single-story, rectangular shaped (96′ x 58′) structure. It is constructed of rusticated and coursed native stone. The structure has a flat roof, parapets, metal casement windows with concrete sills and placed by twos, and a recessed entry. A 33′ x 79′ addition has been added to the west end, impairing the integrity of the building. The gymnasium is a single-story, rectangular (110′ x 69′) structure constructed of rusticated and coursed native stone. The roof is arched with parapets. The front entryway is recessed behind a stone archway and framed by pilasters and a stepped cornice at the roof line. Other pilasters and vertical indentions in the stone work provide decorative relief. Elongated casement windows are set on concrete sills. Unfortunately the architectural integrity of the structure has been impaired by placement of concrete block additions to three sides of the structure. 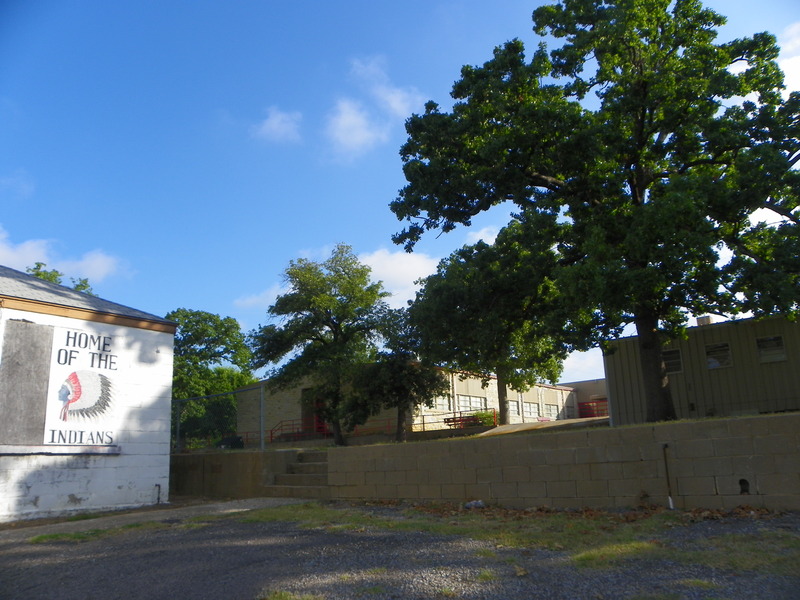 Within the community of Tishomingo, the WPA structures are architecturally significant in terms of type, style, materials and nature of workmanship. Equally important is that they introduced modern as well as physical education into the region, facilitating the educational process. Also significant is that construction of the buildings provided job opportunities for destitute workers long on the relief rolls of the state, enabling them to secure a measure of economic security for themselves and their families.